To be kept informed about future events, click here and join our Facebook group. During September, supporters have been taking a challenge to do that little bit more. 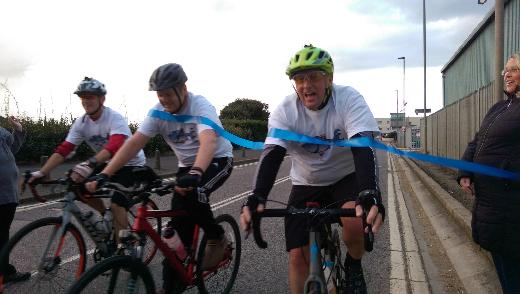 Alan, Darren & Neil cycled a 100 miles around Sussex, a loop that took in Brighton in the south, up onto the Weald, across to the North Downs, before heading down the Adur valley back to the coast and the finish line. Others like Kit pushed themselves to cycle part of the route. 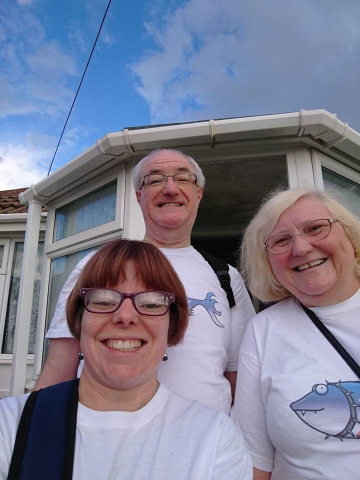 Gill, Katie and Alan walked from Brighton to Peacehaven. The sponsor page is still open at My Donate. Pictures from the day. 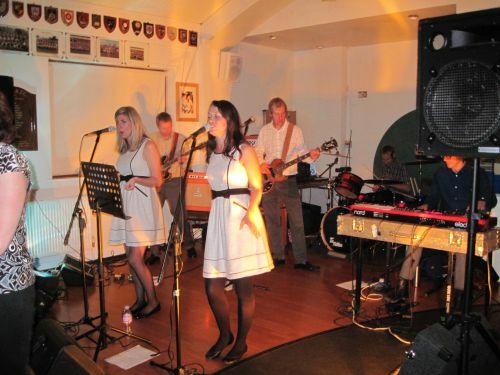 A great evening of Shadow's songs performed by tribute band Specs Appeal. 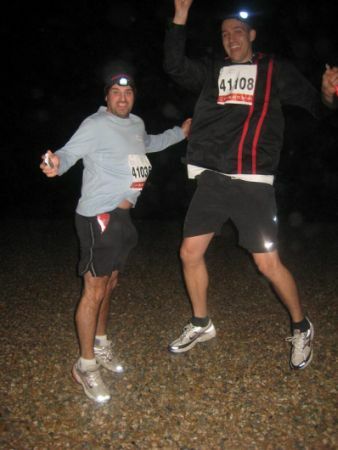 John ran the Brighton Marathon for the Anthony Pilcher Bone Cancer Trust. A spur of the moment Fish Aid concert took place at LOGS. A great evening was had by all. Pictures on our Fish Aid pages. At the Meridian Centre, Peacehaven. Organised and sponsored by Natwest Bank. As part of the Lewes Old Grammar School quincentennial celebrations, there was a parade through the streets of Lewes followed by a concert in the paddock. The APBCT raised over �0 in donations and sales. 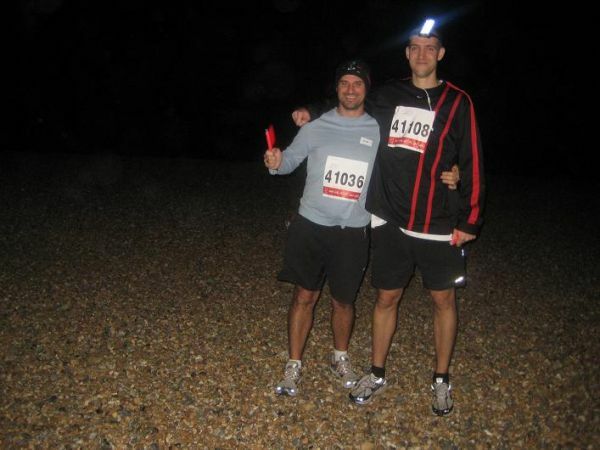 On the night of 30th October 2011, Chris Pugh and John Challen took part in a sponsored Midnight Half Marathon around Brighton. They have raised over �5 of which �0 was matched with a an additional donation from the HSBC bank. Many sponsors also Gift Aided their donation which added a further �0 to the total. Well done to John and Chris. Here are a couple of photos from the night. 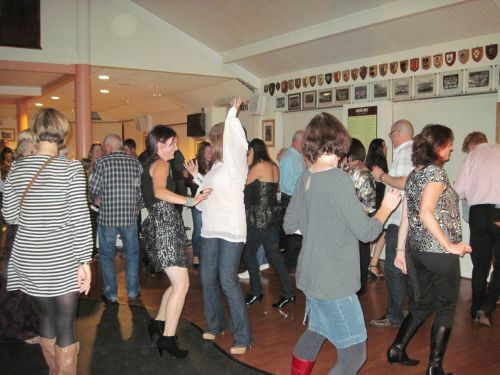 On 7th October 2011, The Anthony Pilcher Bone Cancer Trust held a Motown evening at Hove Rugby Football Club. It was also the ninth aniversary of Anthony's death from osteosarcoma. Live music was provided by the MoTones, and many people and companies donated raffle and auction prizes. The evening was a great success and over �00 has been raised. To support Bone Cancer Awareness week, there were BCRT gingerbread men and shortbread men biscuits. Awareness leaflets and posters were also distributed.